I hadn’t posted a record from Oceania in nearly a year, so I thought I’d post both sides of this little gem (totaling three little gems) from the Kingdom of Tonga. Although similar to the majority of the music of Polynesia, much (though not all) Tongan music has been influenced by the presence of visiting and colonizing Europeans, who first arrived in Tongan waters in the early 17th century. 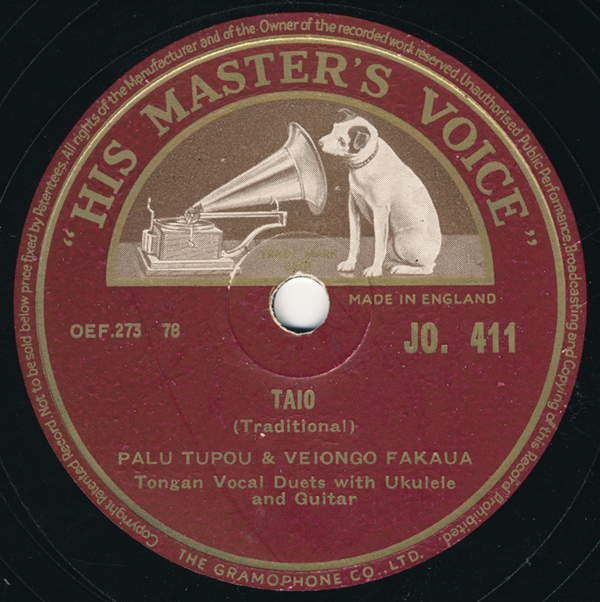 Over time, Tongans adapted some aspects of their folk songs and lyrical poems to these outside influences, while strongly preserving other types of their traditional music. Interestingly, Tonga is the only Polynesian nation that was not formally colonized by a European country. Part of the British Western Pacific Territories until 1952 (and occupied by the United States from 1942-1945), it remains a constitutional monarchy, and has been continually governed by indigenous Tongans. Deeply rooted traditions still thrive, such as the faikava, the traditional kava drinking party where men drink kava for hours, talking and singing. 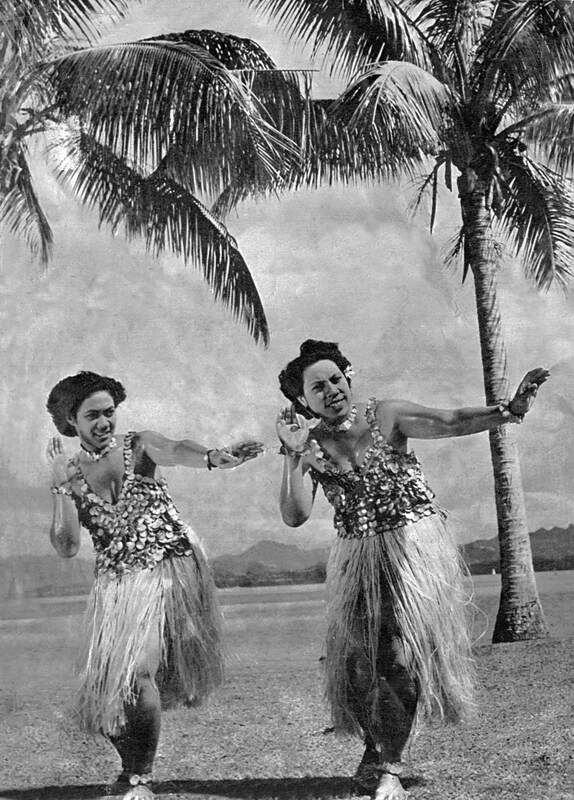 These three short tracks were sung by the female duet of Tupou and Fakaua, two ladies-in-waiting of the Tongan queen Sālote Mafile‘o Pilolevu Tupou III, who reigned from 1918 to 1965. The young duo were invited to the UK in 1954 and stayed sixteen days. They performed traditional songs for Queen Elizabeth, and recorded six sides for the company on their trip. These feature simple ukelele and guitar accompaniment, the two most common musical instruments used throughout Polynesia. What I enjoy about these pieces, besides the sweet melodies themselves, is the hushed style of vocals. It’s as if someone snuck the duo into a recording studio late at night, and they were trying to keep their voices down, and as close to the microphone as possible. Expect another post in the next week or two! Thanks for checking in! Glad you’re enjoying them. Jon this is one of the most delightful ever! Such warm intimacy in the voices, and you’ve captured the very feel of their fingers on the strings. thank you very much, beautiful voices from the past!